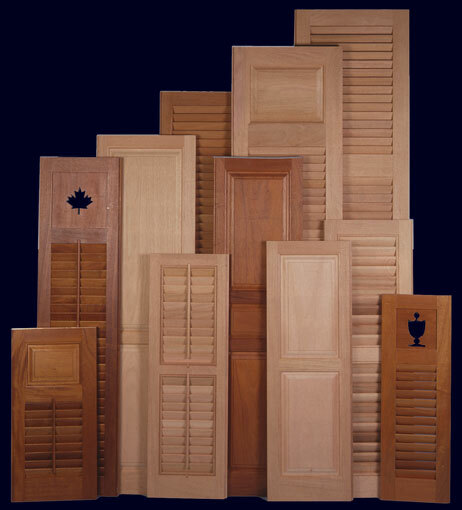 Shutters are fabricated from Honduras Mahogany. Frames are mortise and haunched tenon construction. Panels and louvers are "floating" to allow for expansion. All glue joints are glued with WEST SYSTEMTM, a two part epoxy and secured with headless non-corrosive fasteners. Edges are eased and surfaces are sanded smooth and flush.